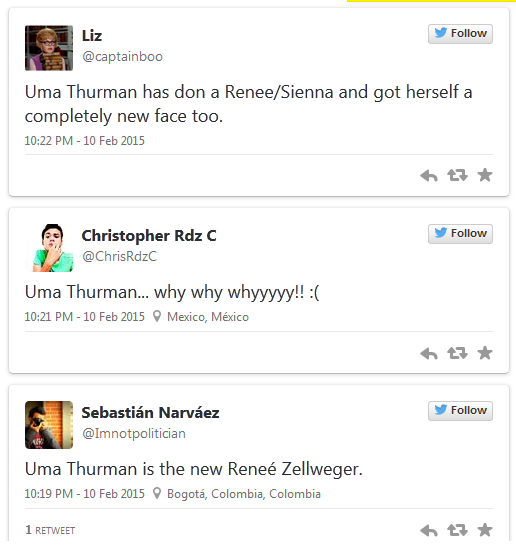 Uma Thurman Unidentified, "FANS REACT"
Actress Uma Thurman famous model also known to have a unique and natural beauty. She is often commended as currently choose to grow old in a natural way. She let her skin aging naturally. 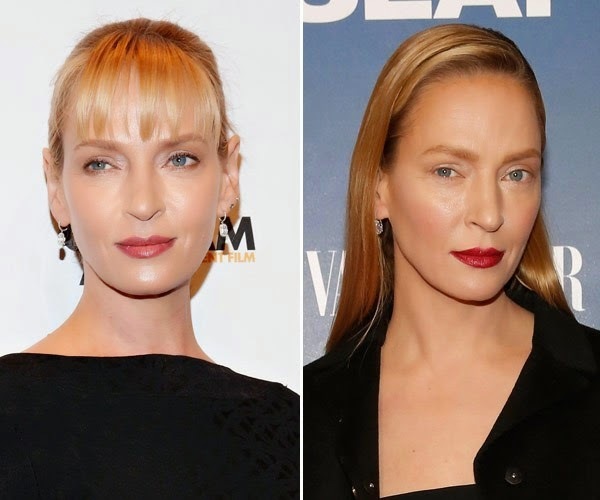 However, while performing in the launch of the films "The Slap" in New York, Uma look very different, almost unidentified. 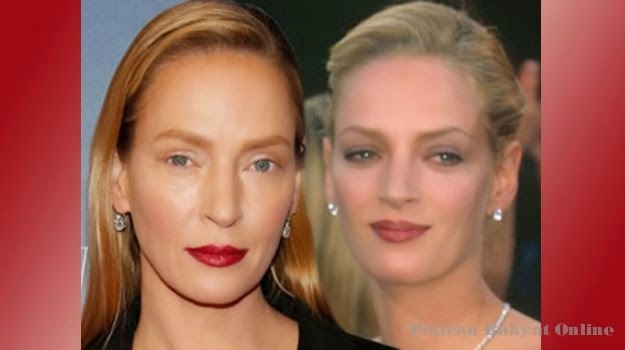 Uma suspected of facial transformation and botox. it visible on her forehead skin more smooth without wrinkles. Likewise, smile lines on her face was no longer visible. 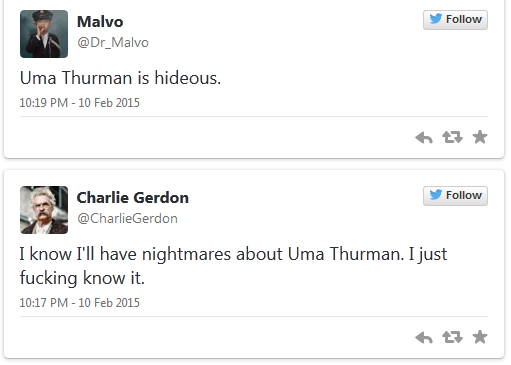 Uma Thruman seemed walk around in New York City on Monday (9/2) with minimal eye makeup and wearing a black dress. The new look of the 44-year-old actress is actually barely recognizable. This is probably because the makeup she wore thin. Wearing a black jumpsuit and bright red lips, Thurman pose with fellow artist, Thandie Newton and Melissa George.